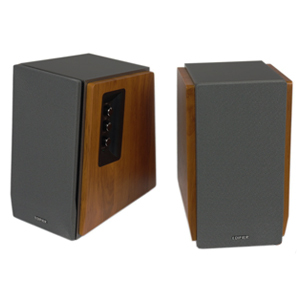 The Studio 1600TIII is a powerful studio speaker set with an edgy design. 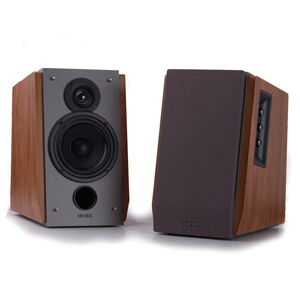 The Studio 1600TIII produces 60W RMS from the 4 inch bass driver and 19mm tweeter drivers in each speaker. 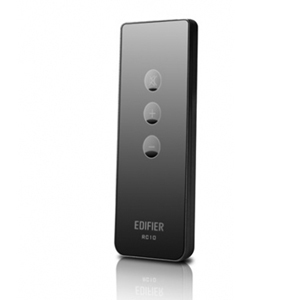 A front facing bass reflex port emphasizes lower frequencies, allowing for richer bass performance. 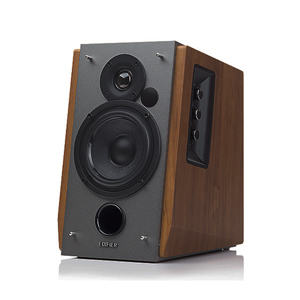 The Studio 1600TIII incorporates DSP and DRC to prevent distortion levels even at the highest volumes, producing crisp, clean audio. 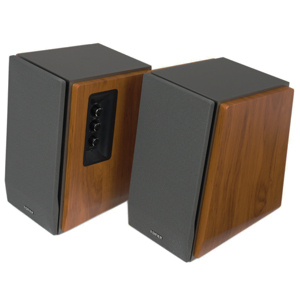 Audio devices can be connected using the dual RCA inputs and audio volume, bass and treble can be adjusted using the adjustment dials located on the side of the speaker. A wireless remote accompanies the R1600TIII for volume and power.